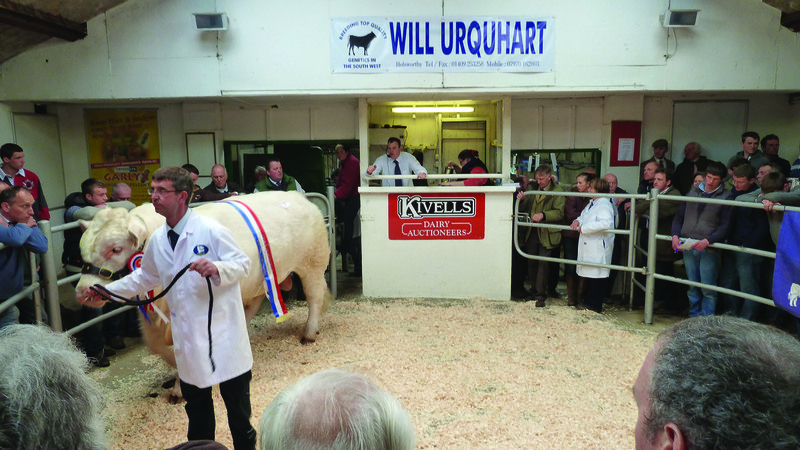 Charolais bulls sold to a top of 4,300gns in Holsworthy on Thursday 24 April at the South West Charolais Association`s annual spring sale. Sale leader at 4,300gns was the champion, Martland Grazer TI +27, SRI +23, a 21 month old by the 55,000gns Sportsman Columbo and out of a homebred dam. 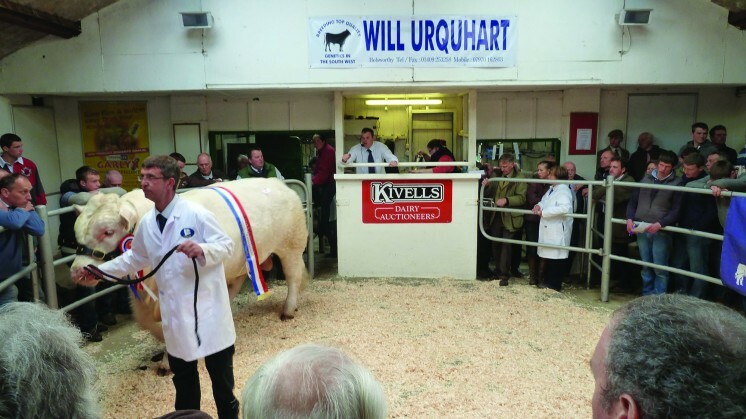 Bred and exhibited by J and C Wylde, Woolavington, Bridgwater he was knocked down sold to PL Heard, Okehampton. Earlier in the day, Mr Heard had offered his Meldon George TI +33, SRI +31, a rising two year old by Broadbury Diesel to Messrs Needham and Son, Bucklands Newton who also went to 2,300gns for Wyvern Goodun TI +54, SRI +45, a two year old Blelack Digger son from DM Barker, Heathfield Taunton.The day’s second highest call at 3,600gns was the 14 month old Blelack Digger son, Beanhill Harry TI +70, SRI +74 from RJ and BE Kimber, Christian Malford, Chippenham to MS Andrews, Winsford, Minehead. A bid of 3,200gns secured Downtown Grady TI +33, SRI +26 for A J & D M Finnemore, Camelford. A 20 month old by Balbithan Condor, he was bred and exhibited by Brian Lavis, Bridestowe, Okehampton. Two, two year old heifers by the 10,000gns Perth champion, Chunal Dougie from Mr and Mrs Andrew White, Worth Matravers led the female section and both were secured by H Dunstan and Sons, Mabe, Penryn. 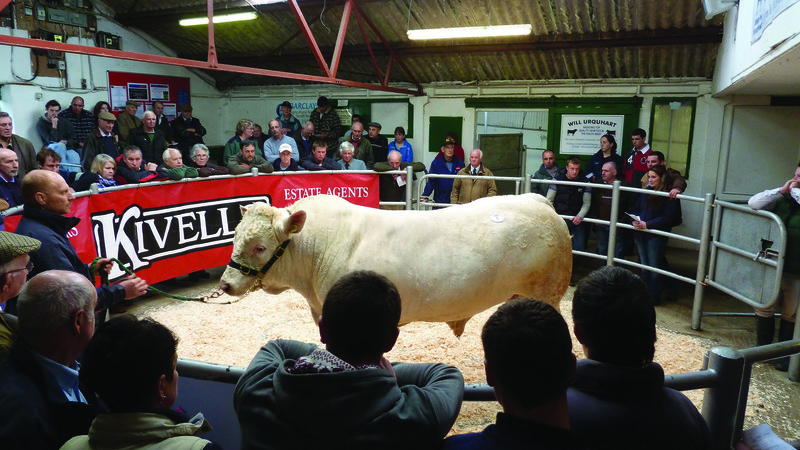 Balbithan Godmanston TI +38, SRI +46 made 3,400gns, while Balbithan Galaxy TI +20 SRI +32 attracted a 3,000gns bid. 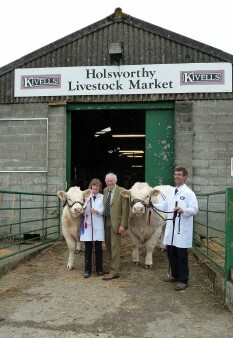 Averages: 8 bulls £3,189; 6 females £2,138.